Happy friday friends! It's been a week of races (horse racing that is) here in this city. You may not know this, but it's kind of a big deal around here. Picture the Kentucky Derby with an Australian accent and it's very own public holiday! You heard me, apparently Australians take sporting so seriously that we've even created public holidays around them. Over here we call it the Melbourne Cup. I never did get around to placing a wager, but that was probably a good thing. Turns out the horse I was going to bet on ran slower this year because he put on a bit of weight. Ha, who knew horses could also commit gluttony. Aside from not attending Melbourne Cup, here's a few snaps from life this week. An elegant and understated wedding invitation consisting of black ink on kraft paper with coloured twine and succulents. Just the look of this invite alone gets me excited. I love my friend's sense of style and can't wait to see all the details she's planned for her big day. My kids get in trouble big time when I catch them vandalising walls at home. 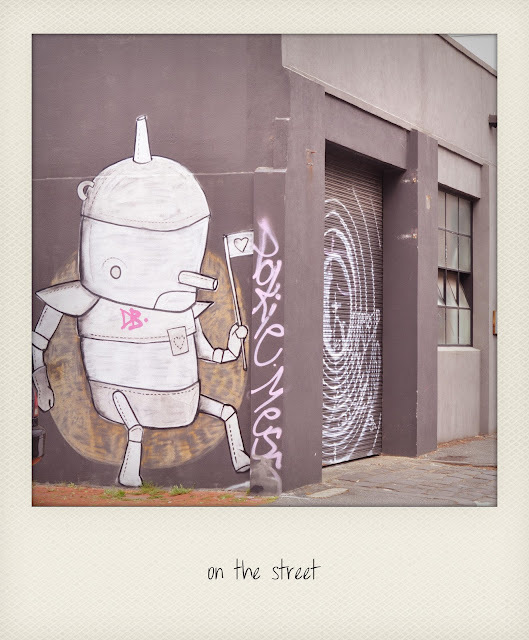 I guess taking them around admiring street art probably doesn't help my cause. Maybe if their doodles resembled something like this then I wouldn't mind so much. 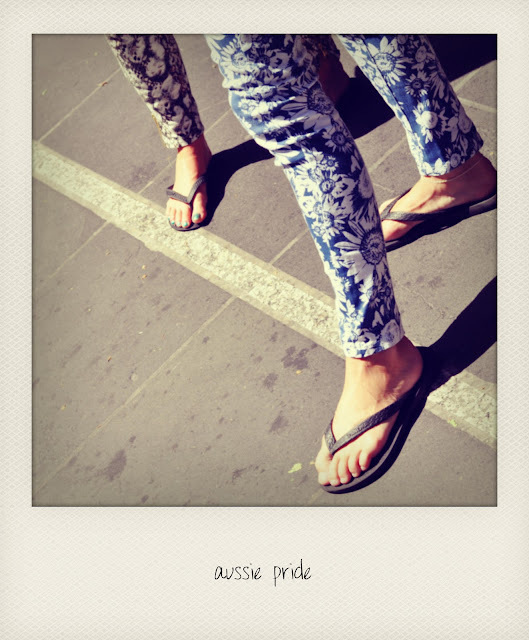 Nothing says 'Australia' like pairing flip-flops (or thongs as we would call them) with everything. I think this photo pretty much sums up our approach to life i.e. relax and take it easy. 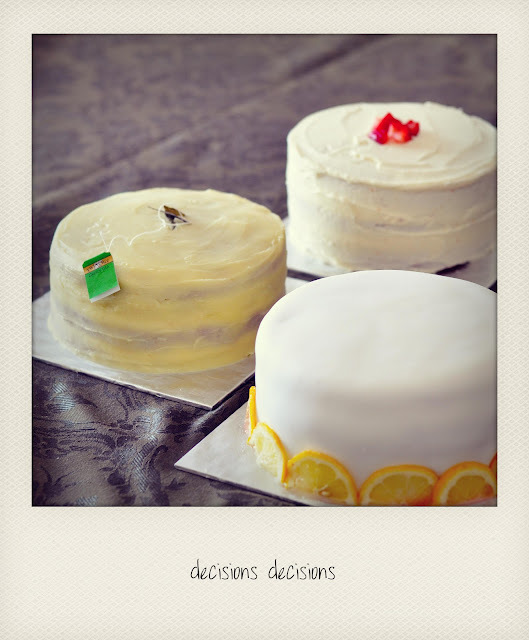 Would you prefer 1. green-tea cake with white chocolate ganache or 2. vanilla cake with elderflower icing and fresh strawberries or 3. lemon cake with layers of lemon curd and raspberries? These were just a few cakes my sister recently made for a cake tasting. Since I like to share so much, I'm going to steal her recipes to post on my blog. So tell me, which should I make? My googly eyed, button nosed baby girl has officially graduated into a toddler. This week she stopped limping around like a zombie on stilts and now walks just like you and I.
I say yayyy for the littlest one walking now and then you have to chase her everywhere. 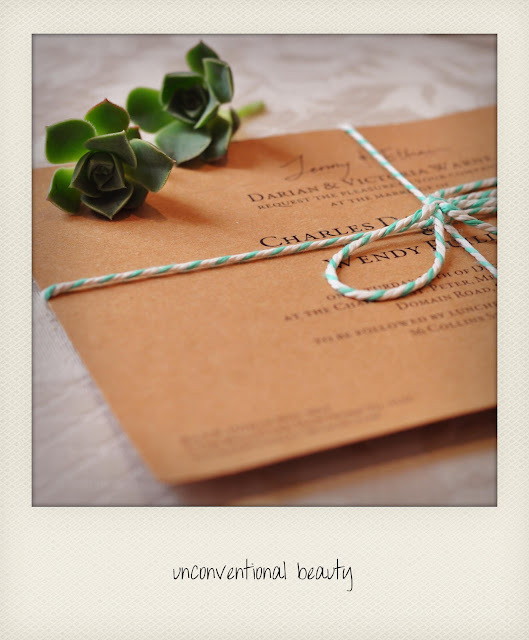 I love that invitation, it has that understated elegance vibe to it and so creative too. I am no much of a cake eater but I choose # 3. I like lemon curds and that it reminds me of that homemade lemon pie with meringue on top that me and my Mama Tita's used to make all from scratch when I was a little girl. Doll face is right! Oh my gosh how adorable! I would go for the lemon cake! Beautiful pics as always. Have a lovely weekend. These are amazing! So much inspiration. 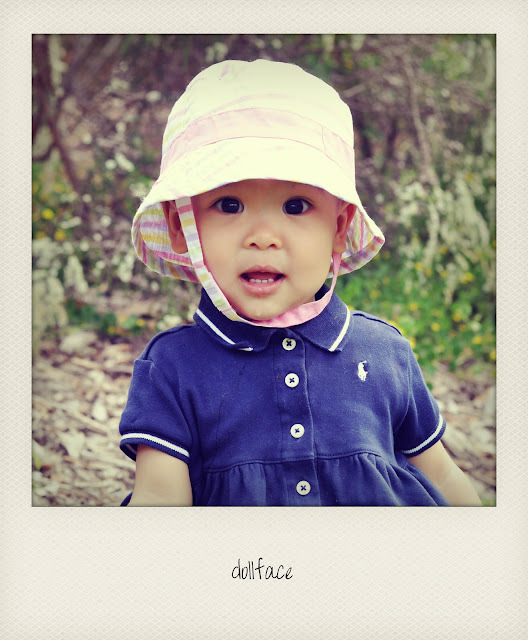 I absolutely love these photos…your little one is so precious! That wedding invite is so lovely, and my interest is totally with the lemon cake. Yum! love the skinnies!!! the wedding invitation is sooo pretty! i love friday- tgif!! xO! Your baby girl id lovely, I wish I could wear flip flop by this time of the year is getting pretty cold now, and the cake if I can choose I would go to the second one, Vanilla is one of my all time favourites. love these photos, especially of your baby girl! too cute! happy weekend! loving the pics, as always, and smitten with your Little! What great posts! We have some very close family friends that live in Wagga Wagga. Thank you for your very nice comments and that you and your husband for your sacrifices. Oh, and yes your daughter is beautiful and looks like she is full of personality. I always opt for chocolate, always! :) I just adore your blog so much & don't know if I've ever told you that!!! Hope you have a great weekend! Thank you for the kind words on my invitation! I just hope the wedding is as good! :P Green tea cake recipe for sure! love that wedding invitation! and I'd pick the cake with strawberries! That is the funniest way I have ever heard anyone describe a baby's walk...Awesome! She's adorable. I think I want an invite to your friend's wedding, judging by the invite it looks to be quite the beautiful event! You kid is ADORABLE! And that invitation is amazing! Love it! I love everything about this post, truthfully! The pictures are amazing and your storytelling, so easy, and charming and inviting...it´s a pleasure to read it and I really enjoy doing it...and that adorable doll-face...so cute! I also hope you had a wonderful weekend! Great post, Jenee! My colleagues and I put in a dollar each on Melb Cup to make up a $10 bet and ended up winning over $700! So happy about that. Love all the cakes you've featured, both you and your sisters are quite the accomplished bakers, I see! I'm particularly curious about the green tea cake though. I didn't realize that Melbourne Cup is officially a public holiday. I haven't worn my flip flops in a while. I remember they were all that I ever wear at home in Auckland. Aww....kids just grow up so fast. hahaha! so glad you got to attend! i saw some of the hats the ladies were wearing. love the flip flop picture and your baby is beautiful. What a lovely doll face. Great pics, but that one is my favorite.